In this review of the JBL EON ONE we are going to covering 5 important areas which include key features, what we like, pros and cons, who is this product best suited to and what customers who have bought the speaker are saying about it. Lightweight and Great for Travel – Lightweight, compact, and weighing only 40 pounds, the jbl eon one Portable 6 channel PA system is great for those who travel often and need a high quality speaker system to accompany them. Traveling as a DJ or a musician can be a challenge, especially when you have to transport your own equipment. Transporting equipment can seem like a stressful endeavor, but it doesn’t have to be as long as you choose a speaker system that is durable and can handle being bumped and jostled around between gigs. 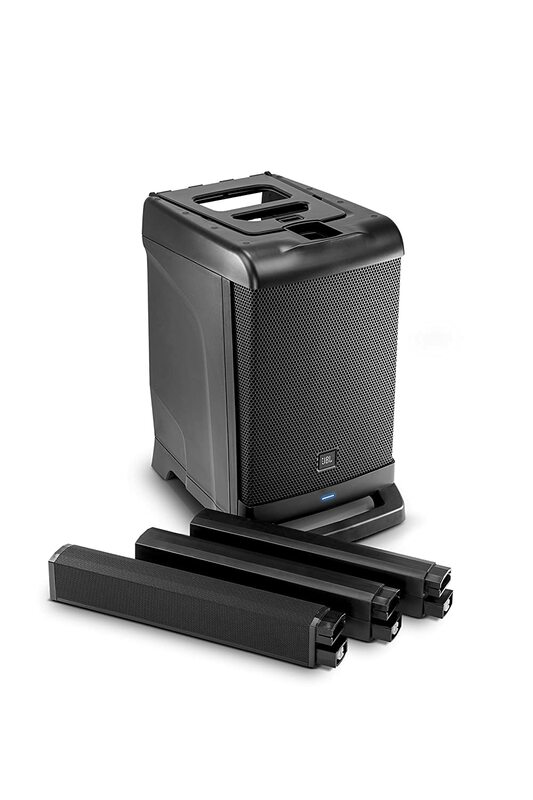 The JBL EON One Portable PA System can travel and still perform with superior sound from one city to the next. Bluetooth Technology – Bluetooth connectivity gives you the ability to stream your favorite playlists or provide sound for a conference or event. The reason that many musicians and DJs find that bluetooth connectivity is the ultimate in convenience is because it gives you a great deal of options. If you are interested in using a smartphone, tablet, or other device to connect to your speakers, bluetooth allows you to do so without the cumbersome use of cords. Superior Components – All JBL products are made with the highest quality components and are housed in a durable cabinet that protect the internal elements from being destroyed when moved on a consistent basis. 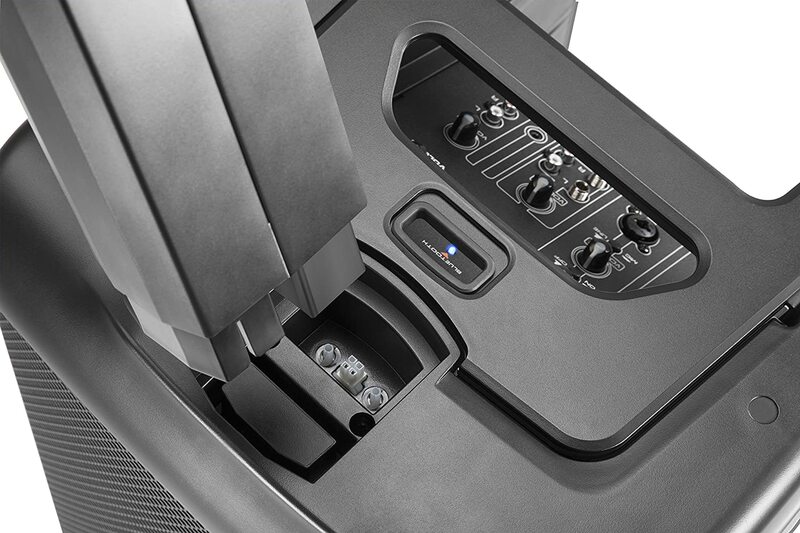 If you are on the road a great deal or you transport the speakers consistently, high quality internal components are just as important as the external durability of the cabinet exterior. We love that this speaker can be transported with one hand as it only weighs 40 pounds and it offers great ergonomic handles for easy functionality. If you are a DJ or a musician, moving your own equipment can become cumbersome and feel like a hassle over a short period of time. 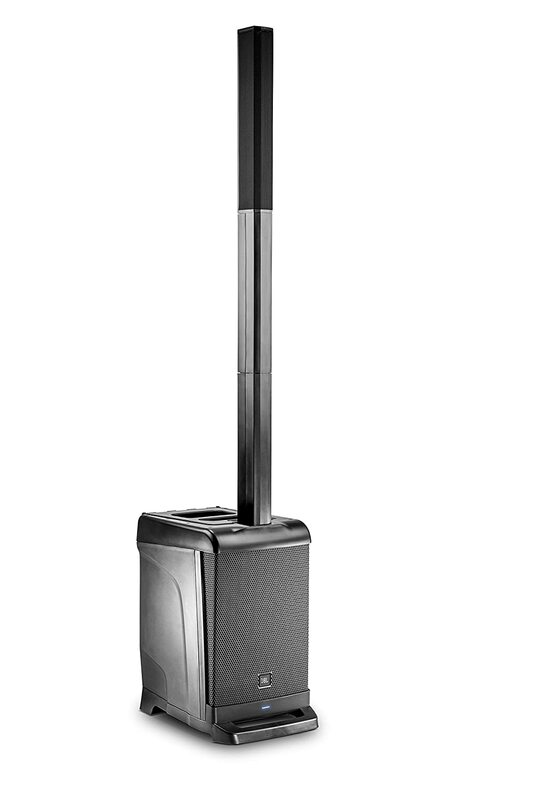 Using a lightweight speaker such as this JBL model will prove to be a way to make transportation less of a struggle. Rechargeable Battery & Bluetooth Technology –Musicians, DJs, and sound engineers looking for convenience in a speaker are on to something with the JBL EON ONE Portable System. We love the rechargeable battery option and the ability to stream from your smartphone, tablet, or computer with bluetooth technology. These two features allow you to keep the party going without missing a beat. 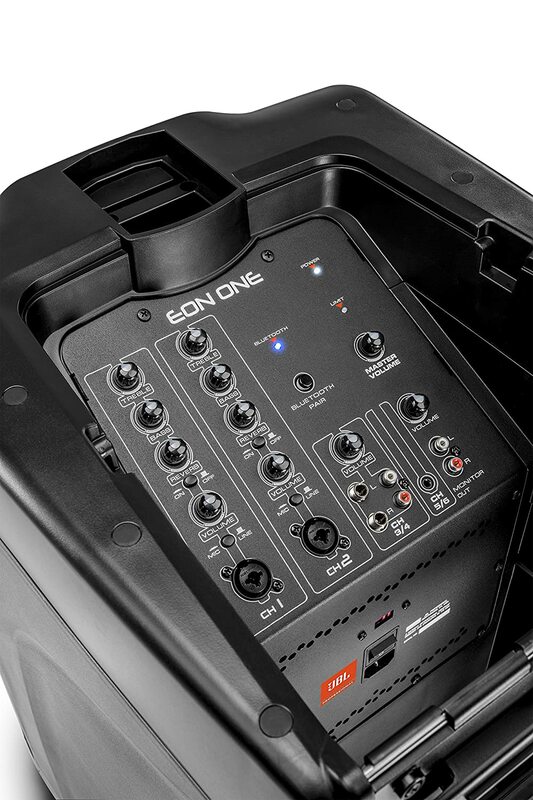 A DJ looking for a speaker that allows for 6-channel mixing, easy-to-use controls, and an unobstructed 10” bass-reflex subwoofer that provides accurate low-frequency will find themselves a gem in the JBL EON ONE portable model. Consumers love that you can get this speaker with a rechargeable battery. It allows for additional playing time without having to stop the party. The adjustable height of the speaker is a great feature that allows for you to play in small or large spaces without restrictions. Finally, it is also helpful to know that many consumers find the microphone volume quality to be outstanding even when used for instrumental purposes. The bottom line is that the JBL EON ONE Portable speaker is versatile and can be used by professional musicians, DJs, sound audio engineers, and consumers interested in providing high quality sound in the comfort of their own home. There is no limit to this speaker and the lightweight construction, versatile options, and adjustable height make this a no-brainer for the price.